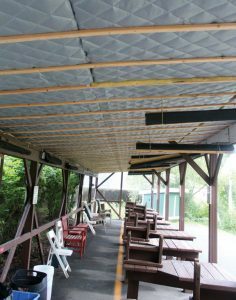 PROSPECT — The Planning and Zoning Commission is hoping to put a dispute over noise from the Prospect Gun Club’s shooting range to bed. The issue came to the forefront after the commission approved extending the hours club members can shoot at the range this summer — a decision that drew the ire of some residents who live near the range, particularly people who live on Tress Road and Forest Ridge Road. Joe Fattore, the president of Vibrasciences Inc., is expected to attend the commission’s Oct. 17 meeting to discuss the issue and answer questions regarding noise from the range. The club hired Vibrasciences, a Branford-based company that specializes in noise and vibration problems, to study and recommend ways to reduce noise. The commission’s approval came after the club took measures to mitigate the noise from the shooting range. Planning and Zoning Commission Chair E. Gil Graveline said Fattore is a professional who can help come up with ideas to remedy the situation and act as a mediator between the club, neighbors and the commission. “We’re trying the mediate between everybody,” Graveline said. The Prospect Gun Club was established in 1972. 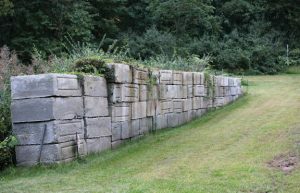 The shooting range, which was built in 1980, is located on town property behind the public works garage at 211 Cheshire Road. “We have never had a problem,” Prospect Gun Club President Jerry Williams said. Up until recent years, the hours at the range were limited to weekends. In the fall of 2015, the commission approved extending the shooting hours to include Thursdays in the summer and a few hours on the Friday after Thanksgiving. The approval was contingent on the club taking steps to mitigate noise. In 2016, the club built a wall of concrete blocks that stretches about 100 feet long and is about 8 feet high in spots between the range and the public works garage. To meet the commission’s requirements for an engineered system to mitigate noise, the club hired Virbasciences in 2017 and installed commercial grade sound proofing material under the roof of the firing lines. The club spent a little more than $13,000 overall on the mitigation measures, according to club officials. The club put a lot of money, time and effort into mitigating noise, Williams said. “The club does want to be a good neighbor,” Williams said. According to an environmental noise survey performed by Applied Improvement Technologies, LLC on Oct. 29, 2016, the average of five decibel readings at the fence line, which is about 104 yards away from the range, was 74.96 during active gunfire. After the club took the steps to try and mitigate the noise, Fattore measured the noise levels at the range on the morning of Oct. 22, 2017. According to a report provided to the commission, Fattore took noise samples at five different locations along the fence line of the property. The average decibel reading for the impulse sound level while guns were shot was 67.6, compared to an average reading of 53.6 for ambient sound and 80.6 for sound from traffic on Cheshire Road, according to the report. The commission felt the club met its stipulations and approved the first extension last year. In July, the club sought another extension, which the commission approved at the time. The summer seasonal hours at the range are now 4 to 7 p.m. on Tuesdays, Wednesday, Thursdays and Fridays. Tuesdays and Wednesdays were added as well as an extra hour until 7 p.m. The extended hours also allow for an extra hour on Saturdays from 9 a.m. to 7 p.m. and shooting on Memorial Day and Labor Day from 9 a.m. to 12 p.m. In the winter months, the only change was an additional three hours on Sundays from 9 a.m. to 3 p.m. There is no shooting on weekdays, with the exception of the Friday after Thanksgiving, and the Saturday hours are 9 a.m. to 4 p.m., which didn’t change. Shooting isn’t allowed on Easter. The winter seasonal hours start and end with daylight saving time. The range is also used by local law enforcement officers, outside of the club’s shooting hours. Williams said the club sought more hours to allow its members, some of which couldn’t make it to the range under the previous hours, more access to enjoy the sport. The club has about 300 members, that includes about 200 Prospect residents, Williams said. The club is active in the community, club officials said, including holding turkey and ham shoots twice a year to raise money for a town charity, like the Prospect Fuel Bank, as well as opening the range to the public to sight rifles and for local Boy Scouts. “We give back to the town,” Williams said. Some residents that live near the range have raised concerns and complained about the noise from the range to the commission, contending that the measures taken by the club to reduce the noise haven’t helped. Most of those who have spoken on the matter say they aren’t against the club, but they feel that extending the hours has created more of a nuisance for residents. “It is a problem and we do have a legitimate complaint. … It’s the extension of the hours. Keep it the way it is,” Brian Evans, a combat veteran of the Vietnam War and former rifle coach who lives on Tress Road, told the commission at its Sept. 19 meeting. The commission requested that the club have Fattore attend a meeting so that all the parties involved can be together at once, the commission can get more information on sound mitigation, and neighbors can ask questions.